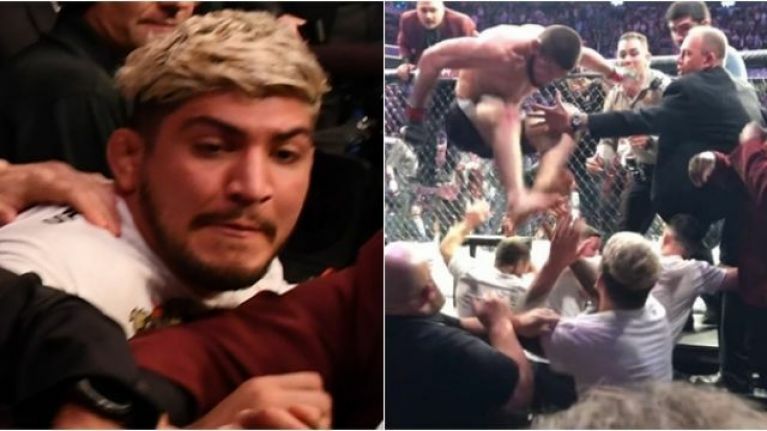 Contrary to some reports from the arena, it turns out that Dillon Danis did not say anything to provoke Khabib Nurmagomedov's attack at UFC 229. 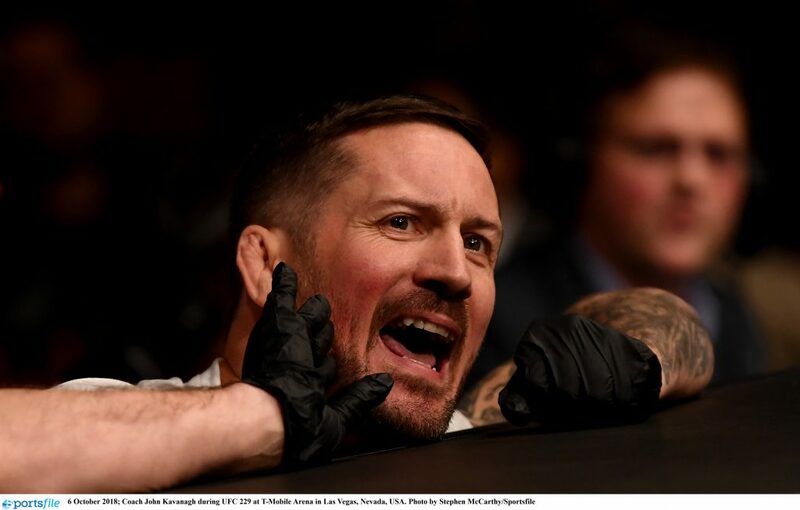 It had been suggested by UFC commentator Joe Rogan that Danis, who was cornering Conor McGregor for the UFC lightweight title fight, had been shouting insults at Nurmagomedov which then resulted in the Russian diving out of the Octagon and sparking a melee. Immediately after forcing McGregor to tap out to a neck crank, 'The Eagle' climbed over the fence and took aim at Danis but Nurmagomedov has rejected claims that the Jiu Jitsu black belt was goading him. 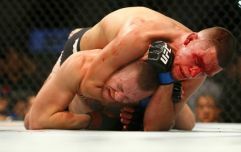 "No, I didn’t hear him, you know," Nurmagomedov told Submission Radio. "I didn’t hear him, it was too loud." The undefeated Russian has instead explained how he took age into account when he targeted Danis, saying that the rest of McGregor's team were too old to fight him. "I jumped on him because other corner is too old; because Conor’s other corner, other coaches, too old, and that’s why I jumped on him," said Nurmagomedov (transcribed by MMA Fighting). "Because he’s almost like my age." "If I jumped on [coach John] Kavanagh, I don’t think it’s too — cause Kavanagh can’t fight me. That’s why I jumped on [Danis]." Nurmagomedov and McGregor are set to discover their punishments for their roles in the ugly brawl when they sit before a Nevada State Athletic Commission hearing next week, with fines and suspensions expected for the lightweight rivals. The 155lbs champion has previously dismissed calls for an immediate rematch with McGregor but if 'The Notorious' does manage to earn himself another title shot against Nurmagomedov down the line, expect plenty of security involved to avoid a repeat of the chaotic end to UFC 229 last October. Nurmagomedov added: "I don’t like his whole team. I have choice what I’m gonna do, but all other old coaches were too old for me. They cannot fight with me. They’re almost like my father’s age."